Esther Dyson(@edyson on twitter) is chairman of EDventure Holdings. Her primary activity is investing in and nurturing start-ups, with a recent focus on health care, human capital and aerospace. Overall, she is fascinated by new business models, new technologies and new markets (both economically and politically). From October 2008 to March of 2009, she lived in Star City outside Moscow, Russia, training as a backup cosmonaut. Apart from this brief sabbatical, she is an active board member for a variety of startups. See a detailed breakout of board seats and investments. She has a BA in economics from Harvard and was founding chairman of ICANN from 1998 to 2000. 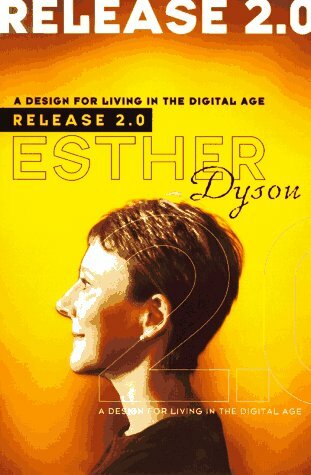 In addition, she wrote the best-selling, widely translated book Release 2.0: A Design for Living in the Digital Age, published by Broadway Books in 1997. Separate pages offer a more detailed bio and current news about Esther. She also writes for or posts to the following sites. See also: some of Esther's past articles. Contact: You can email her at edyson using this site's domain name. for helping me to get these pages up!